The application presents also all repairs and car accidents, building and environmental catastrophes and other untypical but registered and located events. Up-to-date information on the Polish Roads involves all the Polish voivodeships. The application has a legible and easy to use interface. It allows you to browse quickly the state of roads before setting your travel route. 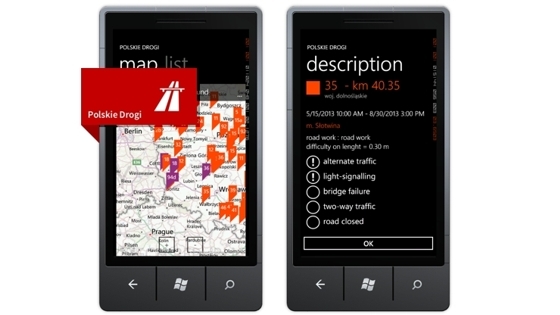 Thanks to the Polish Road application you avoid unpleasant situations, unnecessary standstills and unplanned detours. A free trial allows you to orientate in the functionality of the application. The only limitation is the number of displayed road events. The application hasn’t got any advertisements but an internet connection is required to get data actualization.